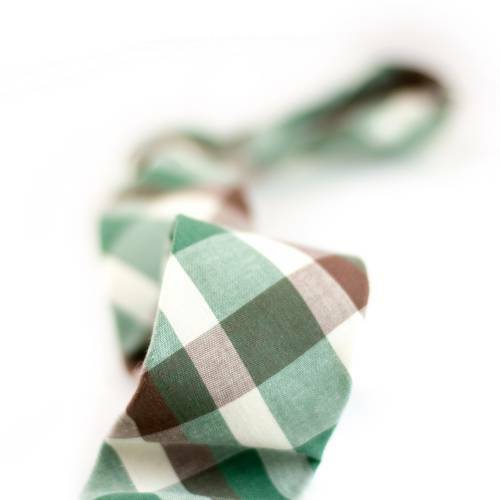 This elegant plaid tie is made of soft woven cotton and is 6cm (2.4") in width, for that perfect knot and a quality feel. 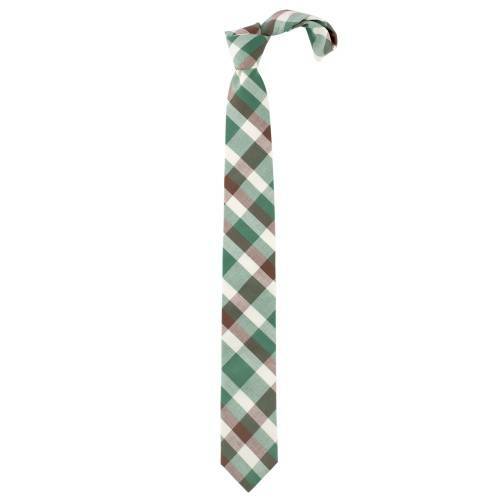 Itâ€™s laid back combination of a plaid pattern in green and brown hues, paired with eggshell white, makes it suitable for both leisure and business. 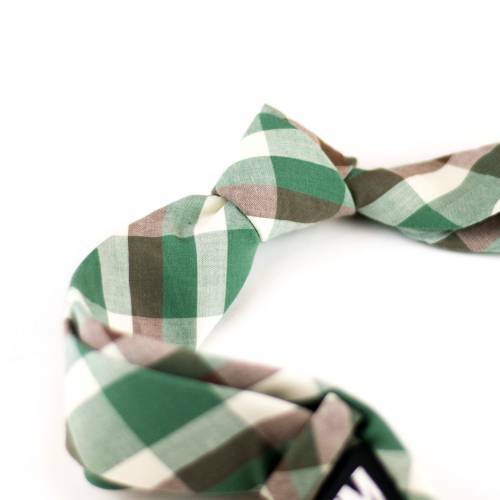 Green / Brown / Eggshell. 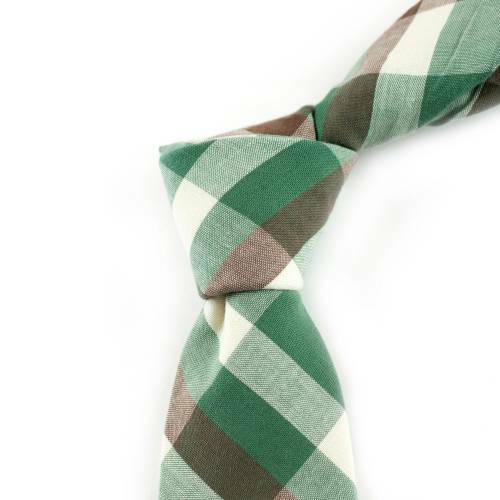 This is a tie of classic design and modern styling, defining a sweet balance between leisure and business. 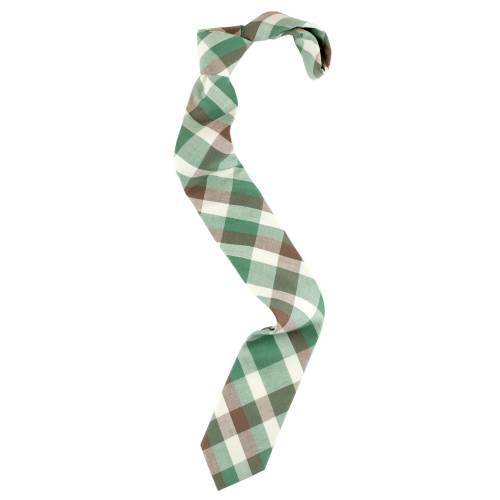 This cotton tie was patterned, keeping in mind that most menâ€™s ties out there are way too boring. 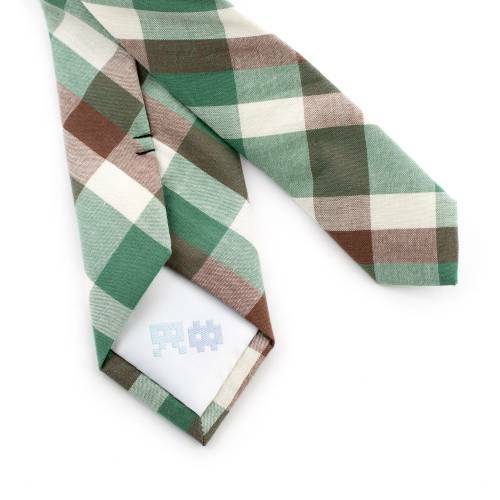 We at Ulterior Motive opposes that by offering a better alternative in this colorfully patterned plaid tie that goes great with almost any shirt, and seeks to inspire people to be able to wear ties in more casual ways.